Supply&Demand’s Mac Premo revisits 1930s America to launch Shinola’s latest American-made chronograph watch. Shinola, an American company specializing in handcrafted watches, bicycles, leather goods and journals has released new work celebrating the creation of its latest watch, the Black Blizzard Chronograph. Named after the American farmers who survived hard times, severe drought and wind erosion across the Great Plains back in the 1930s – a time when the soil turned to dust, blown away by "black blizzards" that darkened the sky and destroyed valuable farming land – Shinola asked Mac Premo of Supply&Demand to create a compelling, short film that would recall this era gone by. 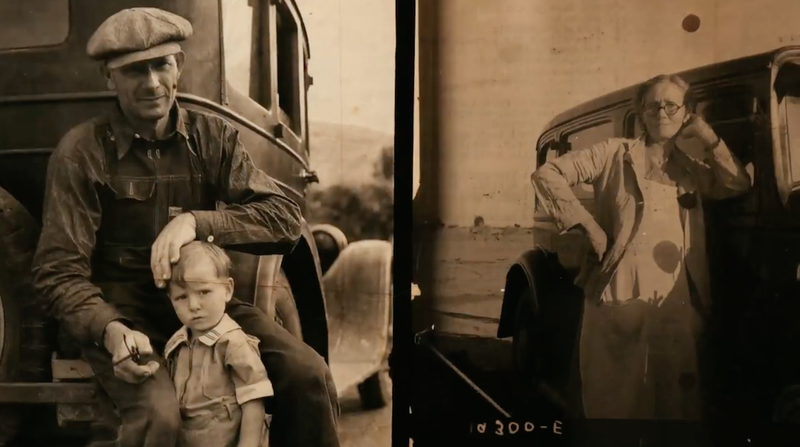 “Grit” unveils a rich pallet of images that flow in flip book fashion, revisiting the Dust Bowl through authentic photographs, crisp animation and beautifully framed footage shot on location in Oklahoma. Voice over recounts the times, words punctuated on screen as the sound of a distant harmonica saturates the work with an old-school Americana feel. Premo also plays the harmonica and performs voice over in the work. Premo shot footage on location in Oklahoma using Sony digital cameras and old glass lenses along with Super8mm chrome reversal film. Footage was then processed and projected against a blank wall and reshot, racking focus and shooting at various angles to add a rich, organic feel to the final piece. Animation was shot on a Canon 5D Mk III. Everything created by Shinola is made by hand at the company’s headquarters in downtown Detroit, from building watch movement to final assembly. Each Shinola Black Blizzard will also include a leather-bound coffee table book detailing the Dust Bowl, a time signifying the strength of the American spirit and the raison d’etre behind the creation of the watch. Shinola was launched in 2011 with the belief that products should be built to last, the first company to make custom crafted watches in America, producing an attractive line of watches that adhere to strict Swiss standards. The company opened in Detroit with an aim to revive the manufacturing spirit in a city once known for its industrial might. It is housed in the former Argonaut building – a landmark Art Deco structure that previously housed General Motors’ Research Laboratory.